Public transit GM Question of the Day: What new change is impacting your agency? 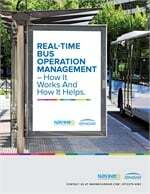 LBT [Long Beach Transit] implemented an organizational and employee performance measurement instrument. Our tool was developed through interactive brainstorming sessions. Management and frontline employees participated to identify what they do (or don’t do) and how it contributes to organizational and personal performance. Every employee must know how to keep score, and exactly what to do to help LBT be successful…we now have a game plan that is leading us to fewer absences, greater employee engagement, better customer service and overall accountability. An oversupply of bus stops is a common situation in older cities with legacy transit systems. As transit professionals, when asked to add a stop here or there, how often have we heard the statement, “It’s just one more bus stop?” A key method to improving the speed of a transit system is to ensure bus stops are appropriately spaced to balance customers walking distances and travel times. We recognized that our system could improve travel times while maintaining good walk distances by adopting sound bus stop placement policies that helped consolidate the number of stops and allowed more strategic placements. This project was successfully implemented in late 2014. Of the approximately 700 stops in our system, almost 200 were removed or repositioned as part of this initiative. Our customers took the changes in stride, bus operators thanked us for reducing the pressure on already tight recovery times and we look forward to schedule changes that speed travel times. The keys to success were good research and policy analysis, an extensive public and stakeholder outreach process, and a supportive board of directors that, when armed with good policy and an inclusive process, was willing to risk some unhappy constituents in the service of a broader goal. SunLine Transit Agency has implemented a Performance Management Program designed to identify, quantify and strategically improve our transit service provision. We have spent the past year categorizing our data and determining which systems and data sets provide reliable and accurate information. This exercise is very important to the process to ensure that our team is not using incorrect information to build its metrics of measure. Each department has identified a series of metrics that are reported on at Monthly Metric Meetings to determine if sufficient performance or progress of improvement is being achieved. SunLine has already experienced significant improvement in several areas of service delivery by highlighting areas of deficiency and requiring the team to investigate and initiate remedies. DCTA launched its new Where’s My Ride vehicle tracking tool this past January that provides real-time travel information to passengers, allowing them to obtain predictive arrival information for a Connect bus or A-train at a particular stop location via phone, online and mobile devices. Unlike a mobile application, Where’s My Ride is an integrated Intelligent Transportation System (ITS) that integrates location, route, and bus/train information with schedules and maps to provide passengers with the most accurate arrival predictions possible. The under-30 set, especially those attending college, are incredibly enthusiastic about taking public transit. We responded to that enthusiasm by introducing the Class Pass, a new student pass program, at two local colleges in the past year. The response has been overwhelming and today, Class Pass students account for five percent of our overall ridership. Extending this program to other local colleges and working on new programs that encourage students to keep riding after they’ve graduated are a top priority. With the help of a grant from Utah Governor Gary Herbert, the Utah Transit Authority created a Coordinated Mobility Department to help facilitate transportation to select populations. The department coordinates the vehicular resources of more than 50 outside agencies to provide transportation options to seniors and persons with disabilities, and it has expanded UTA’s travel training program to educate potential riders on using the transit system.